I have been on a crazy mushroom kick lately. Mushrooms here, mushrooms there. They've basically been added to every meal except breakfast for the past few days. Mmm, can't get enough! 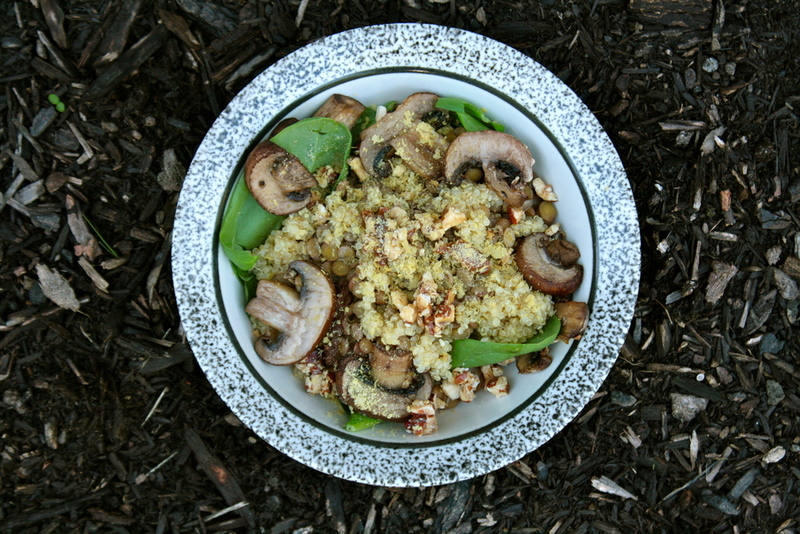 Cook the quinoa, lentils, and mushrooms. While they're cooking get a bowl and place the spinach into it. Once the quinoa and lentils are done, mix them together then add to the bowl. Add mushrooms as well. Then top with almonds and nutritional yeast. Eat in layers or stir stir stir until everything's mixed together. (That's what I do :) ) Enjoy!